During SACCNY’s Breakfast Seminar with one of the leading innovators in the venture capital business, Northzone’s Partner, Pär-Jörgen Pärson, we dove deep into the world of investments in the digital sphere. 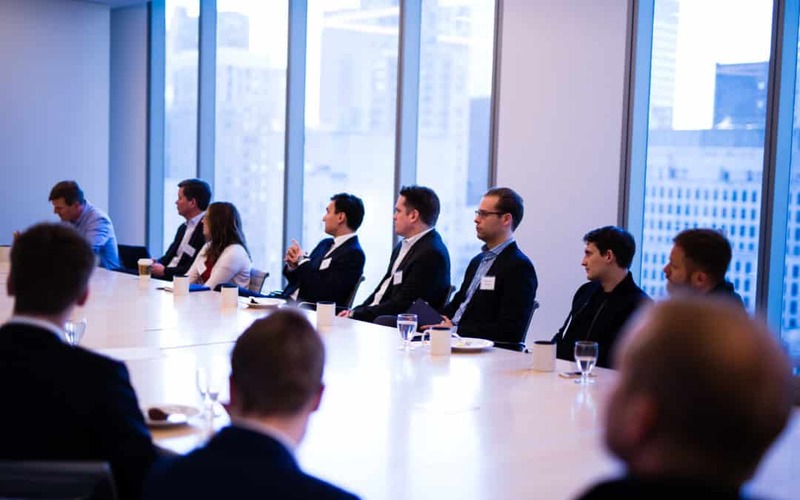 On February 8, over 40 members and guests joined SACCNY for an interactive breakfast seminar at Nixon Peabody’s offices in the heart of midtown Manhattan. Special guest, Pär-Jörgen Pärson, shared his perspectives on investments in the digital age. He spoke of joining the Northzone technology investment partnership in 2004 and now brings 20 years of venture capital experience to the table. Pärson said he gets energized by investing in really big and disruptive ideas—with a primary focus on digital businesses in the fields of media, and fintech. He has invested in over 120 companies and his impressive portfolio includes Spotify, fuboTV, Sourcepoint, Qapital, Play Dots, Widespace, Bloglovin, Cryex, SoundtrackYourBrand, and Jukely. Pärson also serves on the Board of Directors of companies such as the hyper-growth mobile advertising companies Widespace and Sourcepoint. During the talk, Pärson shared his childhood dreams, and explained that his interest in science and hightech developed at an early age. He also stressed he doesn’t let his own ego get in the way of working with other highly forward-thinking entrepreneurs, and would rather listen and hear their perspectives. In fact, he thinks that might be the secret to why entrepreneurs are interested and like working with him. Unbounded upside markets are great since they are big enough but can still be shaped. Their ability must include being able to tap into other related markets. Make sure ”differentiation” is big enough. The idea and entrepreneurs you are willing to invest in should be 20 times better than what already exists on the market. Most importantly, make sure the team you’re investing in has the capacity and the agility to adjust. They must have the ability to run faster than the market.